The dollshouse, the Guineau pig and the dwarf hamsters. As a generally slightly frazzled mother of 4 I don’t expect to be able to predict how my days will turn out with any great accuracy. However, every now and again a day goes so awry that I find myself wondering what just happened. twins had posted down the back of the church piano just before it disappeared from sight. Even lunch in the classroom went better than could be expected, with the only significant issue being the twins eating another child’s lunch. I gave her a chocolate coin, and she promised not to tell. I then spent an hour researching dolls houses as I wanted to get the girls really big old fashioned one like the ones I used to play with. I was left feeling a bit shell shocked by the starting eBay prices of the properly large houses (about £300). Coffee and dolls house research done, I got everyone dressed as witches, obviously, and we piled into the car for the afternoons ‘move and groove’ class. Half way there, I realised that I had got the time wrong, and we had missed the class. Being generally slightly frazzled, this type of thing happens. I do not panic any more, I just re-plan. Having got the smalls dressed and into the car, there was no way we were just going home so we went to the emmaus shop to ditch the 200 pairs of shoes the kids have grown out of in the last year or so. This was when things turned really bizarre. 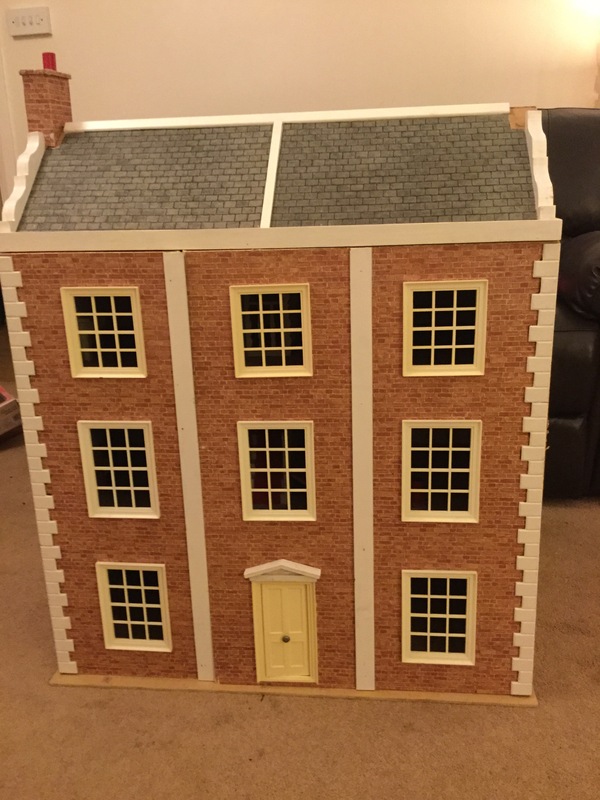 I got out, ditched the shoes turned around and found myself facing a huge and totally perfect dollshouse at £15. Three stories high, wallpaper, carpets, the lot. I grabbed it (not literally as I couldn’t actually lift it) and paid. As they put it into my car, I turned and saw another for £10. Fearing I was participating in a new ‘Jeremy Beadle’ style show I checked around. Seeing no evidence of cameras or other conspiracies, I bought it as well. It took 2 trips to get them home. 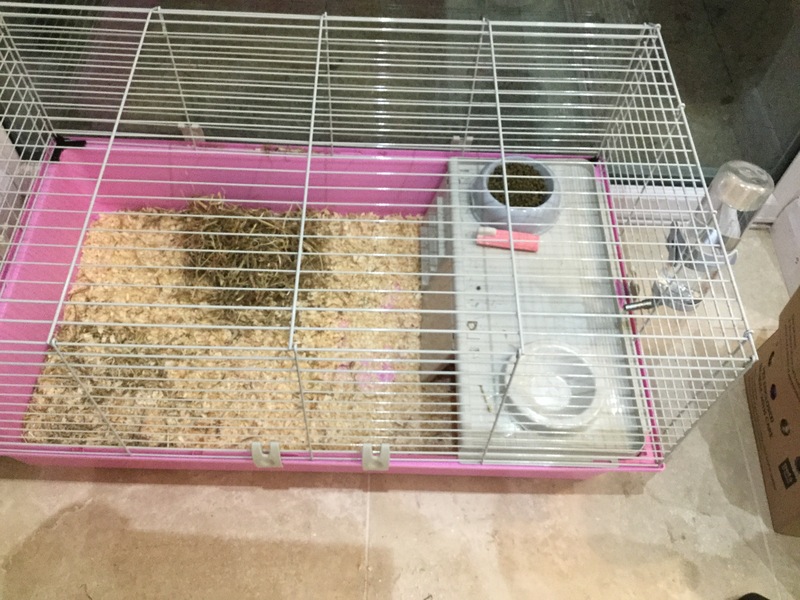 When I picked up the second one, they threw in a full gerbil kit – cage, bowls, bottles, wheel, everything you need to own a gerbil. We don’t own a gerbil. I confess that I was feeling generally quite bemused by this stage. I took my dollshouse along with gerbil kit and rushed back for school pick up. In a moment of rash decision making which I will probably, no undoubtedly, come to regret, I found myself saying to the kids, “well hey, why don’t we go now and buy a couple of gerbils for this cage”. 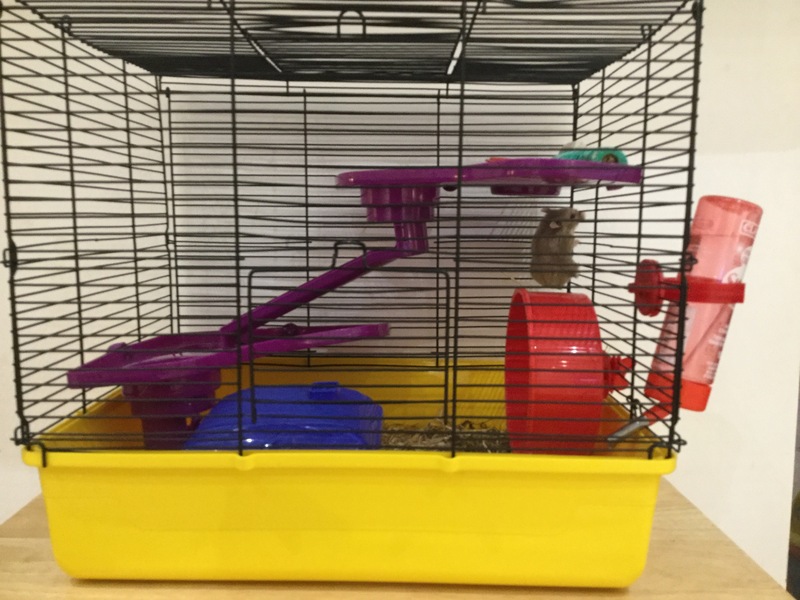 Pets at home politely explained that this was not a gerbil cage, but a hamster cage. Apparently it would take a couple of gerbils no more than an hour to eat their way out of my ‘gerbil cage’. They looked at the rabble of kids and, to give the staff total respect for the deadpan presentation, suggested that something larger and more robust like a Guineau pig might be a better pet for my family. Now I felt torn. I had the kit for a hamster, but was being told to buy a Guineau pig, which meant a whole new kit. I am not sure exactly how it came about. I may have been distracted by one twin running around with a box of live crickets shrieking with delight while the girls tested each of the squeaky dog toys by chewing on them, and the eldest used the fishing nets to try and catch the fish in the tropical tanks, but somehow I left the shop with a Guineau pig kit complete with two male Guineau pigs and two rescue Russian dwarf hamsters to go in the cage I was given at Emmaus. I had a suspicion that my long suffering husband might not be so happy with the new additions to our family, not least given that I spent last weekend muttering about never having anything further come into our home that would in any way be dependant on me. The plan was to get everything set up, make them look cute and hassle free, and it would all be fine. I was advised that the Guineau pigs would just hide at first so I reckoned that would be good. I am not sure I had actually even seen the rescue hamsters at that stage as they had sort of been ushered into boxes and bundled into my car by the helpful staff. As we have established, today was anti-plan day. You won’t be surprised to hear that my husband came home early and just as I was standing covered in sawdust holding one to demonstrate how tame the lovely rescue dwarf Russian Hamsters were, the little sod bit me, drawing blood. I think I am beginning to see why they were up for adoption!